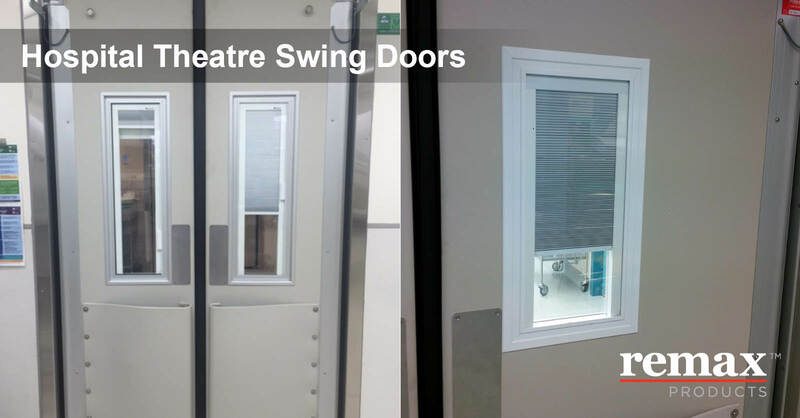 Why are Hospital Theatres Choosing PVC Doors over Timber Doors? Doors may seem quite a small part of the hospital arena but they are one of the most used elements in hospitals and if you think about - they are one item which is touched by probably every person coming and in and out of the hospital - both hospital staff and visiting family members and, lets face it, a conglomerate of predominantly sick patients and not all visitors make use of the hand cleaner! A sure way to pick up unnecessary germs around the hospital is there right on that door! The Coldshield 4500 series Thermal Traffic Door features a lightly textured one-piece polymer door panel that has been high density filled with non-CFC urethene foam for maximum durability and insulation. To start with, here are nine reasons why PVC Swingdoors are superior in hospital environemnts to standard timber swingdoors. 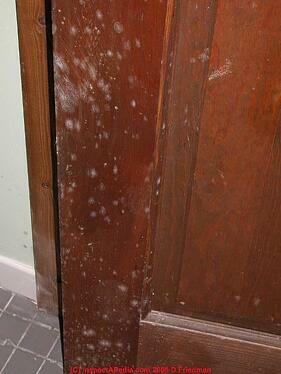 The door panel has no gaps or joins and is impervious to moisture and acid / petroleum. 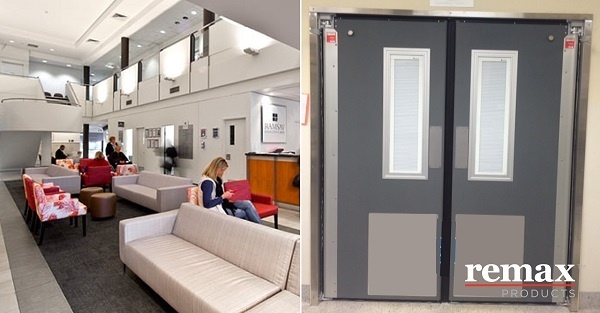 With colour evenly impregnated through the 4mm thick polymer skin, the Coldshield 4500 Series Hospital Swingdoor will never require painting and retains its clean attractive appearance for the life of the door. Within hospitals, and whilst carrying out day-to-day activities, nurses and doctors will often be carrying, pushing or pulling equipment through the hospital and will need to push through doors with their shoulders or body to get from one area to another. To install Thermal Traffic Hospital Swingdoors which are either automated or up to 50% lighter than standard timber swingdoors is not only highly effective but also less likely to cause Workplace OH&S issues. Timber can swell and hold aditional moisture whereas the polymer PVC door panel will not absorb moisture nor harbour residue and therefore less likely to warp out of shape. Stainless steel push plates provide an attractive focal point for entering personnel and minimize build-up of grime on the door. Stainless steel, as you know, can also be more easily disinfected with anti-bacterial solutions than a plastic or timber alternative. The 5000 series Corrosion Resistant Swing Door Series provides unmatched performance for corrosion, bacteria and hygiene control. Along with the fact that the 5000 series swingdoors come with a 10year warranty against corrosion. The one-piece polymer door panel is impervious to moisture and acid/petroleum products. 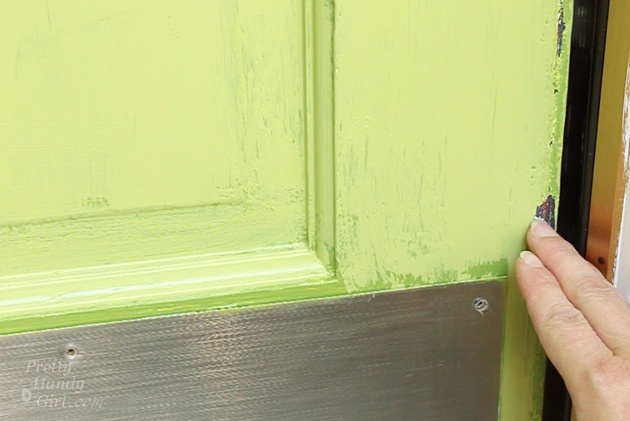 Unlike the timber alternative which, even when sealed or laminated, may start off in good condition but any chips and scratches on the timber door will open up the possiblity of germs and mould making themselves at home. 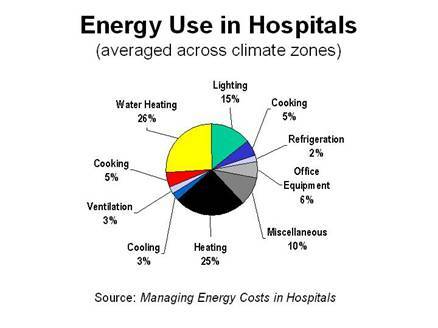 With the combination of insulted door panels with an impressive R value of 3, excellent perimeter seals, double-glazed windows, fast closing time and manual (or optional automatic) closing time, PVC Hospital Swingdoors can improve the efficiency of internal airconditioning.